Quickly 4C/4D/46/48 Chip Transponder Programmer can copy 4C and 4D chips directly, recognize locked ID48, unlock ID48, supports 46 chips copy, but need works with 46 decoder together. 4. 3.5-inch TFT LCD Touch screen with built in battery, can work without additional power supply, portable and convenient. 5. Read chip quickly, stably and accurately. Here cartool.co.uk customer shares his testing experience and confirms that the Quickly Cloner does work like a charm. And he was able to rewrite a CN2 and a CN5. Renault Can Clip diagnostic tool works with Renault 1996–2015. Renault Can Clip v155 latest software supports multi-language include English, German, Danish, Spanish, Finnish, French, Italian, Norwegian, Dutch, Portuguese, Romania, Swedish, Russian (newly add). What Files included in the latest renault can clip v155 software ? Note: Renault can clip program compatible with Windows XP operation system. How to solve it if the can clip interface stop in 20% ( update problem )? PS. 1. to the problem of updating the firmware of the RTL probe; 2. for those who have a encienne RTL probe; 3. sometimes it does not support new version, or sometimes it has blocked the update of firmware. A part of users use VMware and XP Professional. JLR Mangoose SDD V144 software has been launched online. 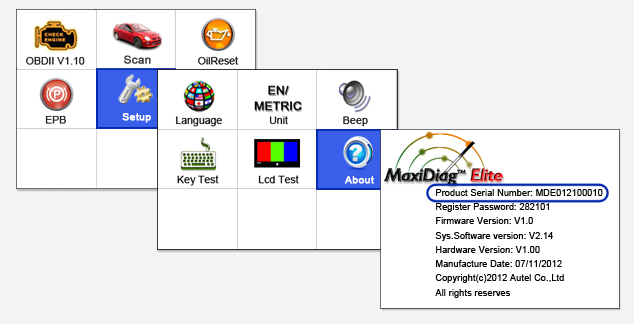 The Mangoose JLR interface is fully supported by dealer level diagnostics & module programming. And the JLR Mangoose cable supports OEM level diagnostic & module programming for Jaguar & Land Rover 2005-2014. English, German, Russian, French, Dutch, Portuguese, Japanese, Spanish, Italian. How update JLR Mangoose SDD V144 on WINXP system? 1. Download “JLR PanasonicScript-Setup v17.zip” to the SDD machine Desktop. 11. Following the “Reboot” there could be more “MS Dos” pop ups, once these have completed, the script has been run successfully. What shall be pay attention to when use the JLR Mangoose cable ? No Internet Connecting; otherwise, it would damage to JLR Mangoose!!! The newer JLR version after v137 does not support offline programming, while it can do the online programming. Free download sdd 144 for JLR Mangoose or Mangoose Pro interface here. Not able to see guide Cylinder output test in SDP3, affected products all EMS S6. 3, Not possible to access adjustable parameters in ELC4 due to a faulty parameter settings module in SDP3. 5. Not possible to spare part program new ECU EMS S7 replacement. What we can do with the Latest SDP3 2.24 plus VCI 2 / VCI 3 truck diagnostic tool for Scania ? Stored fault codes, proposals for remedial action and delete option. Control unit configuration and settings. Information about electrical components and their location. Circuit diagrams. For each circuit there is a diagram which clearly shows how the particular circuit is implemented in the respective vehicle. Chassis data. The vehicle gives the program a description of itself and how it is configured. User functions. In order to meet service market requirements to work more effectively, there is an option to troubleshoot via user functions, e.g. cruise control. Here you can view the install video to show how to install Scania VCI 2 SDP3 V2.24 in Win 7? English/ German/ Spanish/ French/ Japanese/ Dutch/ Polish/ Portuguese/ Swedish/ Norwegian/ Suomi/ Turkish/ Italian/ Czech/ Russian/ Chinese. Scania SDP3 2.24 Diagnostic Programmer and SDP3 Fix files free download here. New arrival Ford OBD2 Tool is a lightweight and friendly OBD device used to mainly perform Ford instrument calibration and immobilizer key matching. Ford OBD2 KM Tool can read and write into EEPROM file, read out immo code, and directly edit key position byte, then replace the original key to a new key. Also Ford Key Programmer can read out and write into the synchronized bytes of instrument and engine, then directly synchronize without programming. Here is our technician and customers share about the Ford OBD2 KM Tool testing results.